* This can koozie is as classy as they come! * The ideal way to keep your favorite canned drink cold, our personalized black leather koozie looks high-brow and high-tech. 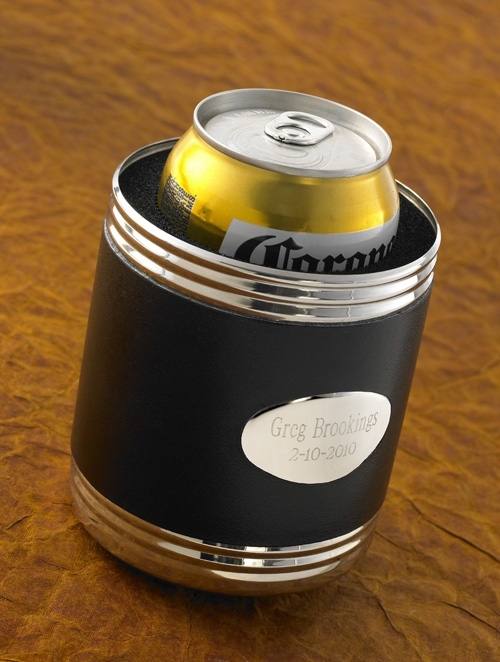 * Fashioned in black with silver-toned trim, this koozie is personalized with the name of the recipient and the date of the gift. * Great for guys who enjoy a can or two of brew while watching the big game! * Holds a 12 ounce (or larger can).